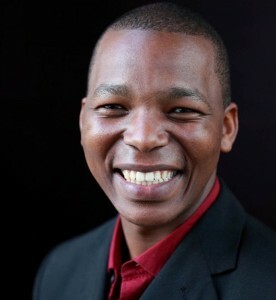 Cape Town sommelier Luvo Ntezo. On Thursday, U.S. District Judge Richard Berman ruled that FBI agents’ seizure of evidence at Rudy Kurniawan’s home was legal and can be used at trial. “Eight years ago, [Luvo] Ntezo was working as a dishwasher at a hotel in Cape Town.” Today, he’s one of South Africa’s most trusted authorities on wine – and has become “a symbol of the country’s distinctive postapartheid viniculture.” A wonderful piece in the Wall Street Journal. According to Michael Franz, South Africa is “the world’s most rapidly improving wine producer.” I agree. In Palate Press, Erika Szymanski explains the many ways wineries can reduce the alcohol content in their wines. “Hopefully this growth and the maturity it represents have put Virginia wine on firm soil, with a gentle but steady upward slope.” Dave McIntyre writes about the continuing rise in Virginia wine sales. “We get so caught up in chasing the hottest new thing that we forget sometimes to recognize the modest heroes.” In Wine Spectator, Tim Fish writes about “one of those people,” Mendocino grapegrower Charlie Barra. These days, it’s extremely rare to see a television commercial for wine. Tom Natan misses those commercials. So he’s brought 10 “blasts from the past” back to life.